Gakken, is Tokyo based company that makes a nifty little analogue synth kit, a Theramin kit, and this little beauty. 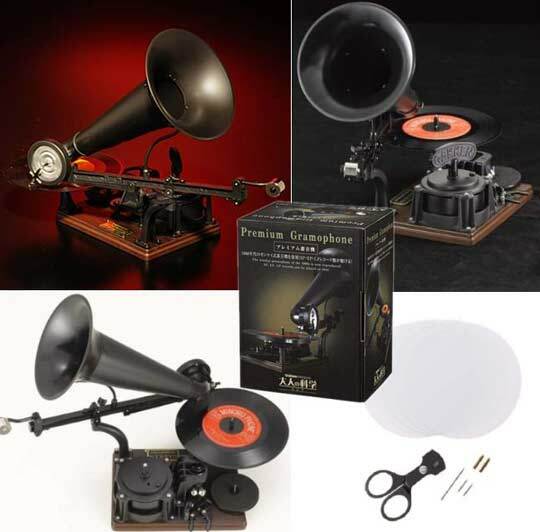 It is a hand cranked record cutter (just speak into the cone and crank, it will cut some vinyl for you). They also make a bird song organ, more fun for your assembly. Gakken has been helping you make little beauties since 1947, Makershed services the states with some Gakken goodies.